This sinewy form transcends this washboard from its former functional place in history to an object of simple, minimalist beauty. Start a collection of these once ubiquitous utilitarian objects, each ribbed board shoulders its own story. 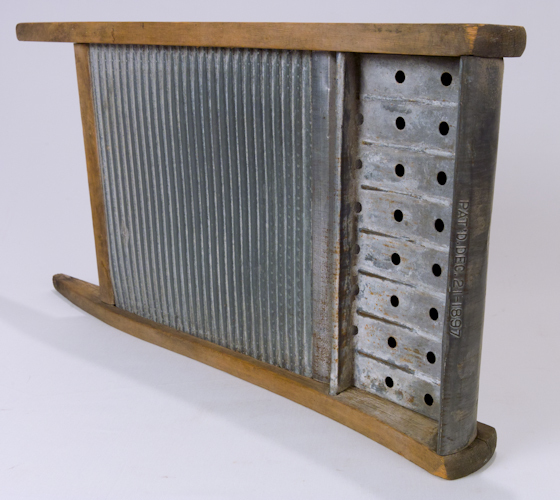 Imagine a wall in your loft devoid of liitle but a well curated collection of washboards. 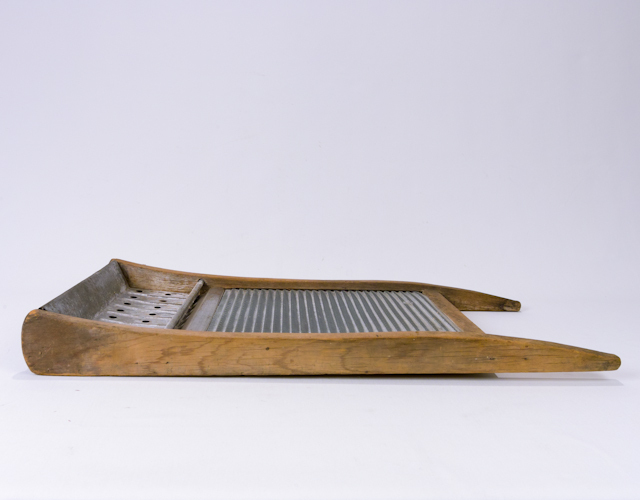 We have had friends that have rocked collections of domestic artifacts such as clothes pins, wood clothing hangers, rolling pins, … Washboards have sufficient cachet to have captured the attention of star artist Chuck Close. The New York Times style magazine “The Collections of Artists” selected Close’s collection among four art luminaries. What is but one of the objects of his attention? Washboards! 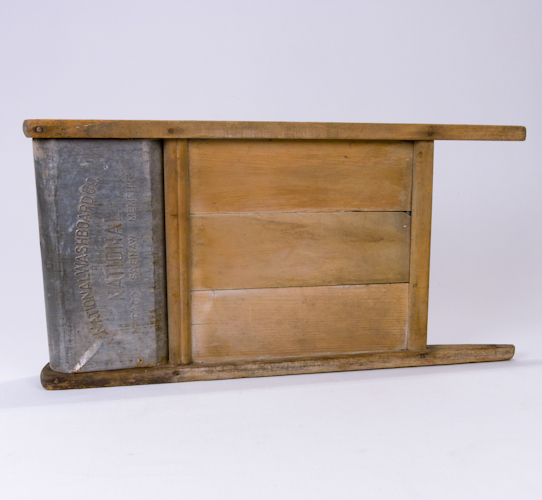 This is an early National washboard marked patented December 21, 1897, Chicago, Saginaw, Memphis.